Dalvyserran wrote: For the Story Guide, chapter 32 section, Kio'nel's name is spelled as "Kiolen". In ch 31 he is called both Kio'nel and Kiolen, so I'm not sure which is it. his sketch (in the news) had the name "Kio'nel" on it. so i think that's the correct one. I thought this was deleted for some inexplicable reason and all mention of it hushed up? And you want error correction now? When i pointed out errors before my comments were deleted. 3Power wrote: I thought this was deleted for some inexplicable reason and all mention of it hushed up? And you want error correction now? When i pointed out errors before my comments were deleted. Updated version is up, thanks everyone for the observations. Sorry to hear that, wish I could have seen those comments before they were deleted. That said, the guide was pretty much rebuilt from scratch since than, so hopefuly most of them are fixed now anyway. I thought the "inexplicable" reason would be quite obvious by now, but for the sake of clarity: The leaked version was a work in progress, published by accident (I don't know much details about how that happened, nor do I care about them). I deleted it after the incident 1) since it was not yet worthy of drowtales and 2) since I would otherwise have to spend time fixing errors in a dead version of the guide (it was already being remade with a new layout). 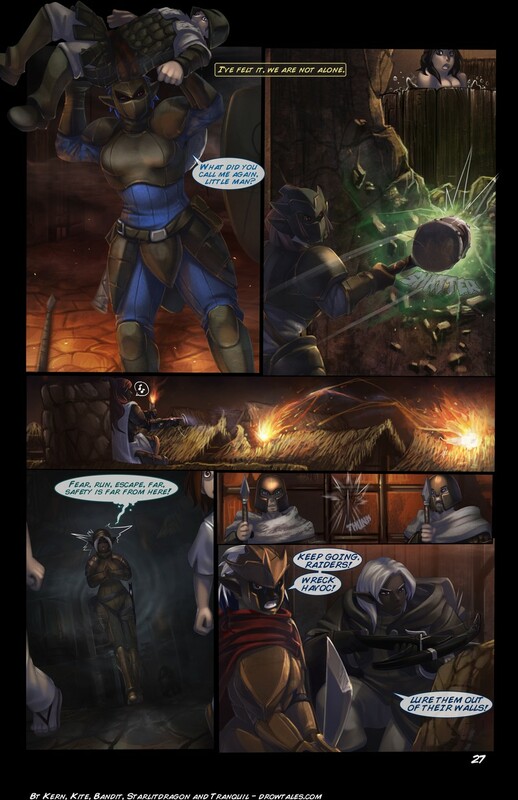 - Kai, a "halme from Haltonreibe" and member of the Stone Company who appeared alongside Dhal'zyn and Ileh'gro when Kyo, Chiri and Shan stopped at an Ilhar'dro outpost to get some news from the area. Chapter 20. - In Vaelia's path, Iwan's name (group leader) is lacking - Kai'to was repeated there. 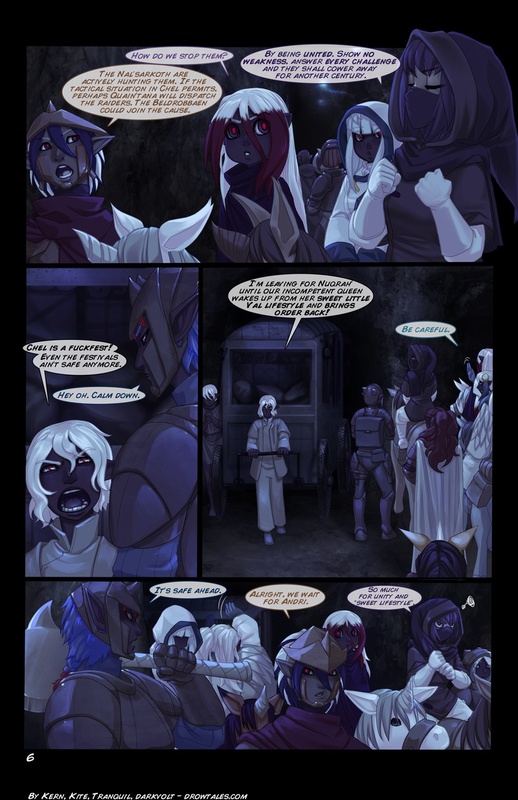 - The different portions of Vaelia's path are side stories to chapters 24, 25 and 27. Currently the whole of it is marked as a side story of chapter 23. And I believe that's all. Nori'ga and Sunya's names should be switched around , in the bottom of the chapter 30 part . Is the Clans Guide going to be updated with the post time-skip appearance of all the characters? embair wrote: Updated version is up, thanks everyone for the observations. What was the point of hiding it after it was already up? The wiki is already a huge mess of outdated info. "Not worthy of drowtales?" You are far far too kind. This is the company that claimed ptp2 would be here months ago, delayed it again and again and then released it in a buggy, unplayable state. Compared to that a guide with a few names misspelled is nothing. Anyway, censorship is stupid bro, don't do it. Great, I switched Nori'ga and Sunya again . Aanyway updated version of story guide is up, thanks for input. Andri will also apear in the clans guide with it's next update. Max_black0 wrote: Is the Clans Guide going to be updated with the post time-skip appearance of all the characters? The current version of the Clans Guide with the characters and portraits from chpt. 0-32 will remain available. At the same time, a new Clan Guide for chapters 33+ will be made. Whether this will be an extension of the current guide with replaced images, or a new guide made from scratch, is not yet clear. It all depends on how much the situation in Chel changed after the time skip. Salan'dara is linked to her by a line of "formal relation"
Given that this is such due, I assume, the intention to avoid giving spoilers to new readers, wouldn't be preferable to use another image of Ash'waren because her true nature is a revelation that occurs later in the comic? 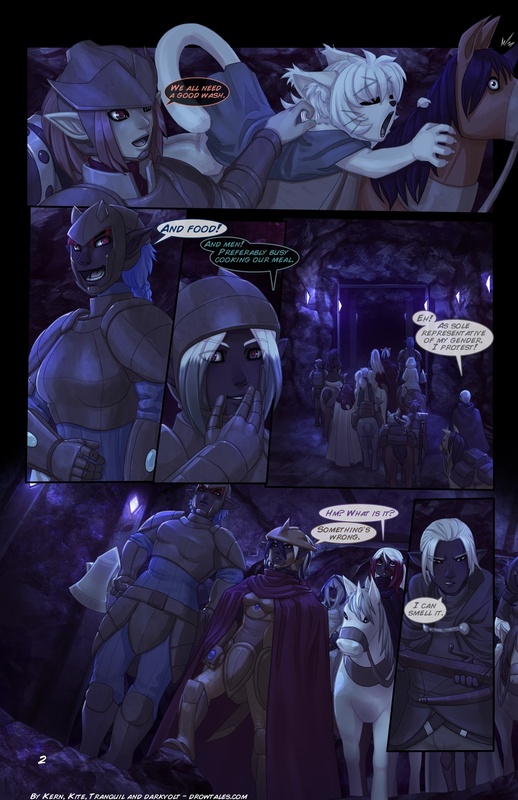 In regard to the second matter, according to the Wiki and the Old World setting pages, Salan'dara is the heir of Ash'waren and sister to Faen, though this is not said in the comic when she is first named by Kel'noz (there she is simply presented as his counterpart in the other clan, though one could interpret that sentence as also including their blood relation to their respective leaders). 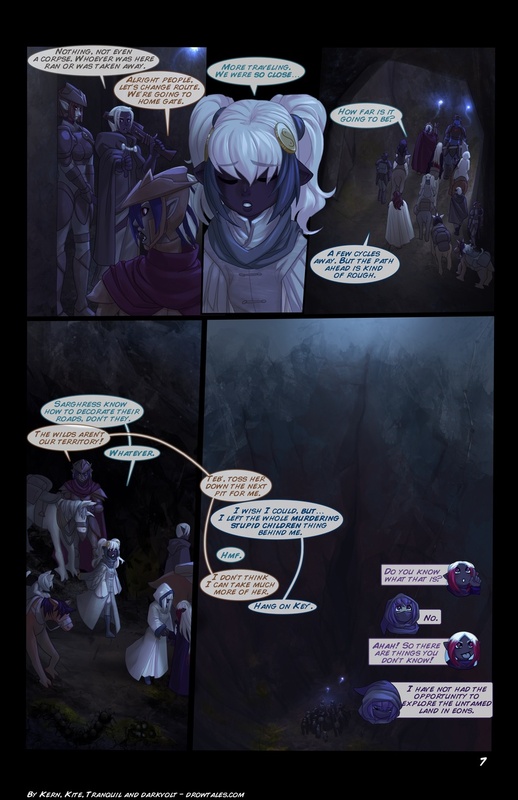 And finally, the comic has not talked either about the exact relationships between the known Tions, aside from Mandroga's line of "Hey, Rosof, you're gonna let your grandson get killed?". However, the wiki is more revealing on these details. Thanks for your attention! May you have a pleasant day. another appearance of him and a source for the Tions family tree. Also, the description of Kuso's description is currently "mercenary" with an initial lower-case letter. Clan guide updated. Changes to story guide will apear with it's next update. How dare you provide your voluntarily help so late, shame on you! 1. Very good point, portrait changed. 2. I was told by Kern that for all we know Salan'dara is not heir, so that part of world setting seems not to apply anymore. She might still be Ash'waren's daughter, but we don't know that (I wouldn't say the "counterpart" mention from Kel'Noz implies such). So I guess I'll leave it on formal relation until we're proven otherwise. 3. True. I've read that post about Tions family before, but somehow failed to notice the part about Sarnel being named Tions contrary to the custom (of mother's side taking precedence), hence I associated him more to Kel'Noz. Fixed now. Thanks for the insights, may you too have a nice day! In the Story Guide, Kharla'ggen is missing a "g"
Nice guides, by the way!